I enjoy family traditions, especially around the holiday season. Since my son is still really young, now is definitely the perfect time to start new ones. The small, yet, memorable traditions are always a lot of fun, like updating the advent calendar or sipping hot cocoa with marshmallows and eating fresh baked cookies, while watching old favorites like A Charlie Brown Christmas. Then there are other traditions that I've often contemplated and then put on the back burner, there's Elf on a Shelf. I once thought this sounded fun and I guess in some ways it could be. I used to have an entire Pinterest board dedicated to ideas for this, but in all honestly I wasn't sure if a little elf getting into mischief at night was something I really wanted to teach for my son. Sure it's all in good fun, but I was a mission to find something different. Northpole Ninjas is a really neat one that I personally enjoy and recommend, since it revolves around kindness and doing good deeds. Now what if we could start a tradition like this, but have it also be based on God and Biblical truths? When Wanda Carter Roush, author of Angel on Assignment, first contacted me about her new book. 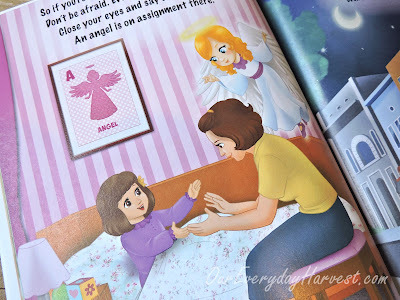 I knew I couldn't pass up the opportunity to read a story about angels with my son. 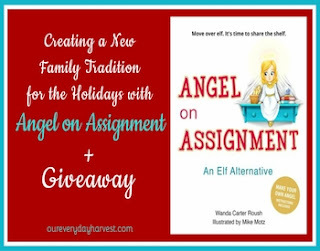 What I soon learned is that, while this is a beautiful story about angels, it's also an invitation to start a new holiday tradition with my family, one that really encompasses the true meaning of the season. 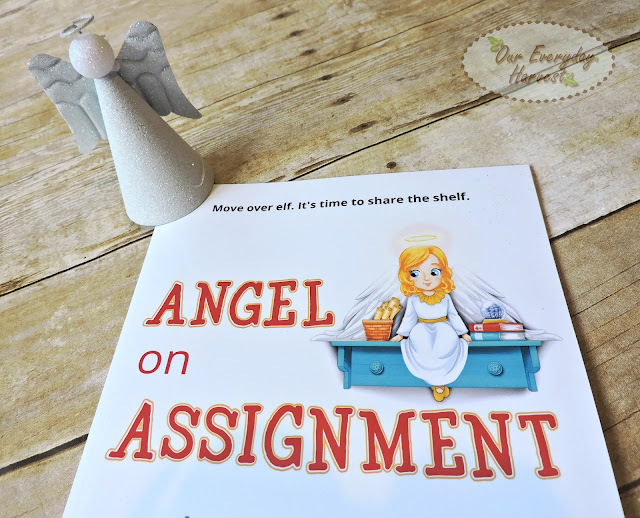 Angel on Assignment is a picture book that offers a precious introduction to angels–what they are–and why God has put them here on Earth. As we began the story, my son was reminded of how angels were always there, put here as messengers, telling Mary that she'd be the mother of Jesus, sharing the good news with the shepherds on the night He was born, and eventually announcing His resurrection. When the greatest gift to the world was made known." The story then moves on to tell children that angels were created by God for so many other reasons, not just as messengers. Each of them has a mission to help and protect in some way. They may be sent to comfort us at night if we're scared, wipe our tears away when we are sad, or to protect us from harm's way. 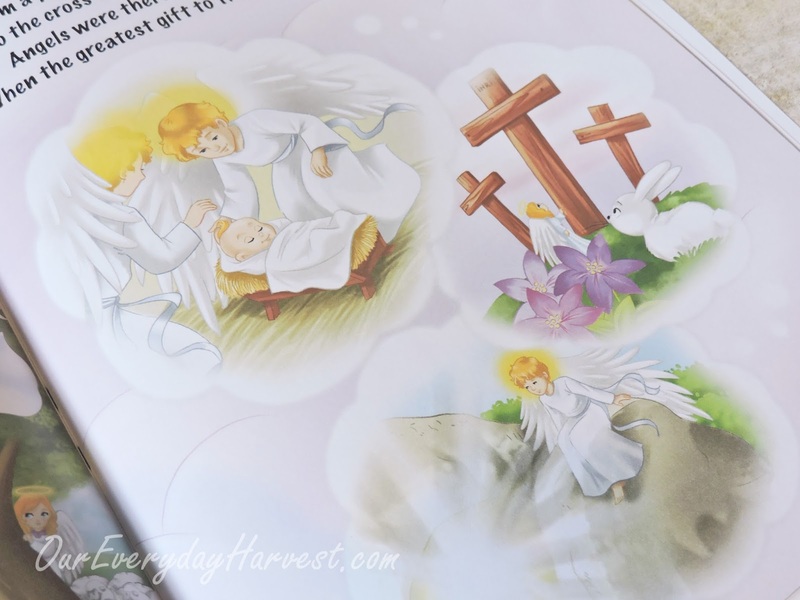 It goes on to mention how angels rejoice when someone invites Jesus to come into their heart, and even shares how kids can ask Him into their own hearts. The front cover mentions that this book is "An Elf Alternative." 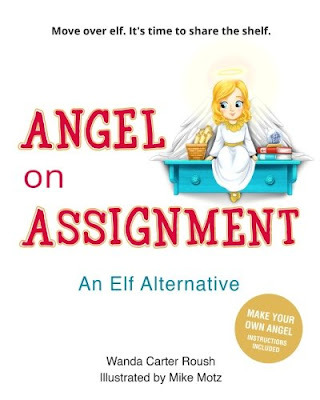 Now while there is no angel actually included with this book, although I do hope that this is a possibility down the line, there is a prompt that encourages children to make their own "Angel on Assignment." 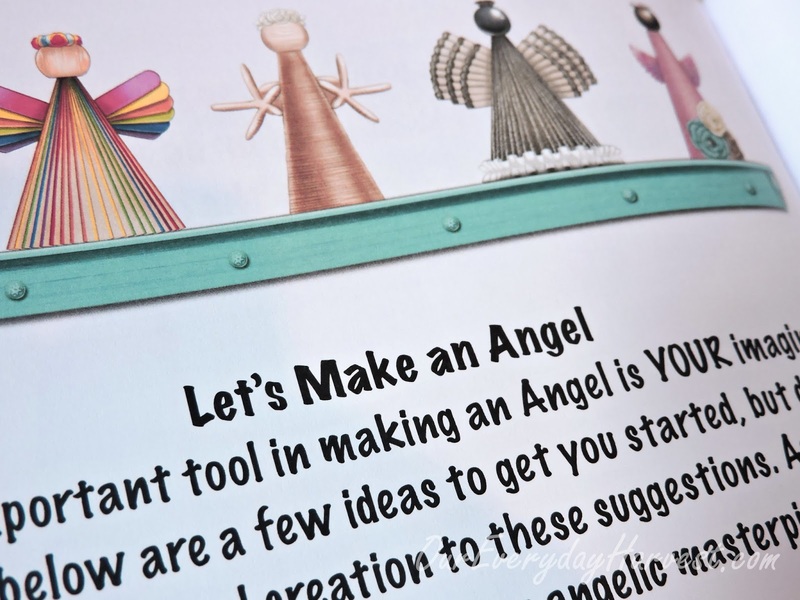 At the end of the story, the Let's Make an Angel page offers a complete list of ideas and inspiration in order for you and your child to make an angel creation that can be displayed in your home (think...Angel on a Shelf). I thought this was a wonderful inclusion to the book. Although, we have yet to get started on our own angel creation here in my home (as I'm writing this), this is definitely a family tradition that we'll be starting really soon, and I can't wait! Another thing that I have to mention, which you may have also read, above... this book was inspired by the author's own personal story. She wanted to provide her child hope, while also sharing the news with other children out there that God sends His angels to look after us and pick us up if we fall. As a mother, myself, this only makes the book all the more special to me. 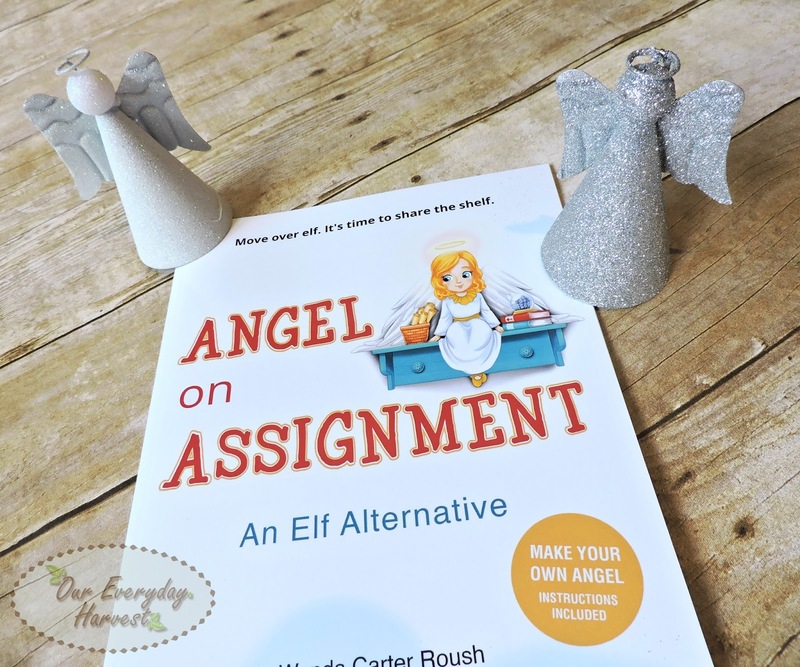 Whether you want to start a new family tradition by creating a Christmas angel or simply would like for your children to learn more about angels, Angel on Assignment, is a beautiful way to teach them. Not only is this a precious story that focuses on angels, but also preaches the good news of Jesus' birth and ultimate sacrifice for our sins. I really appreciate how Ms. Roush made sure to incorporate this information in the book. She also makes sure to focus on how children can glorify God by being just like an angel assigned to a mission, showing kindness and doing good deeds. I can't think of a better way to spread Christmas cheer than to share the gospel of Jesus and show kindness to others. Be sure to visit Angel on Assignment on Facebook for future updates. Ms. Roush would love to share this precious story with Our Everyday Harvest readers. Not only has she gifted me this beautiful book to share with my son, but she is also providing an additional copy for a giveaway. 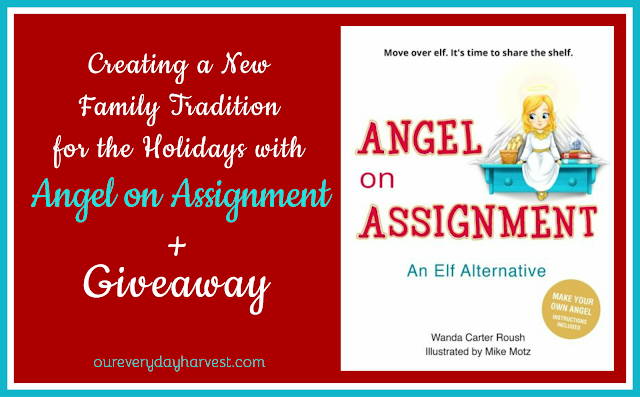 One winner will be chosen to also receive a copy of Angel on Assignment. To enter, please follow the giveaway prompts, below.